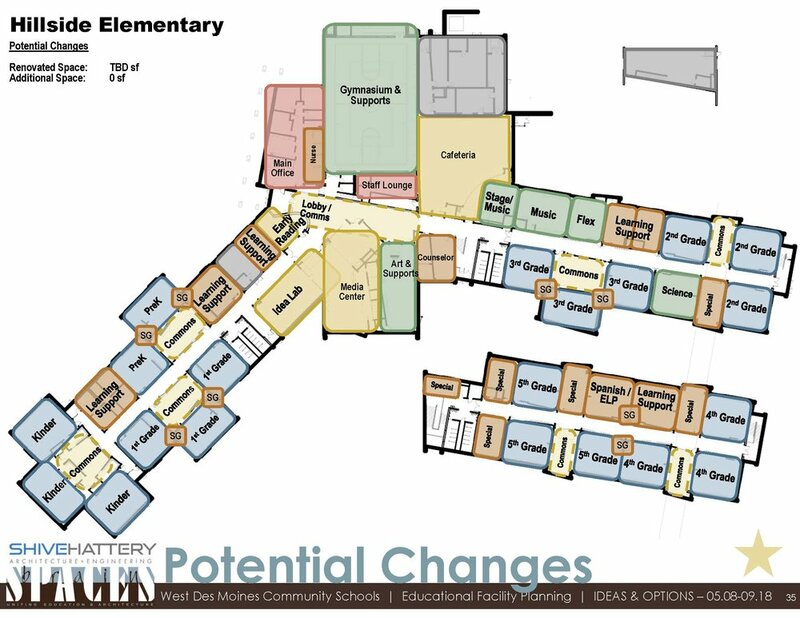 The following information outlines progress to date on the Master Plan for Hillside Elementary. 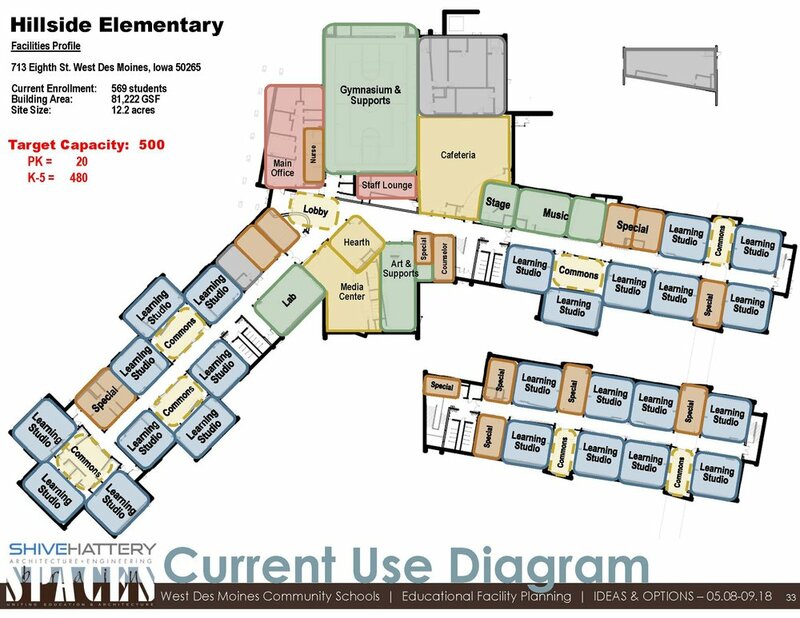 This graphic details the available space within the building once sixth-grade moves to middle school. 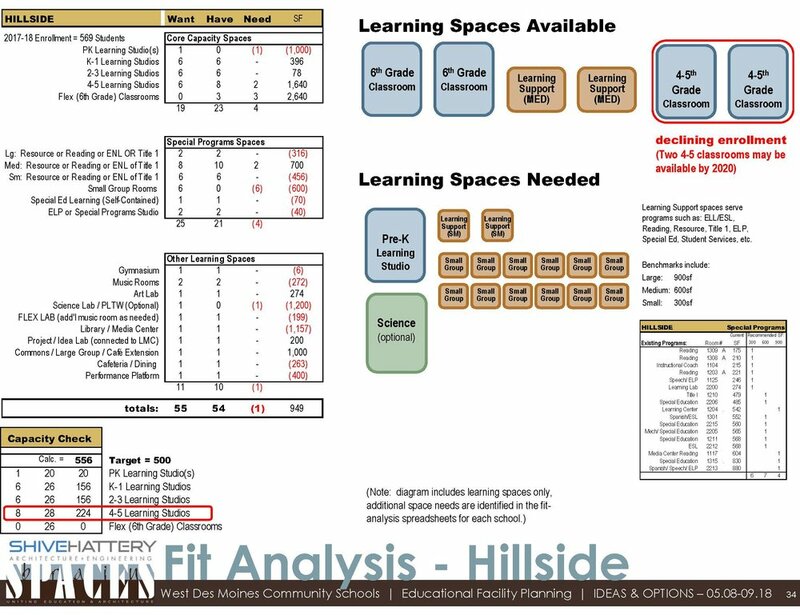 That space is compared to the space desired based with the addition of a PK classroom and other specific needs at Hillside.